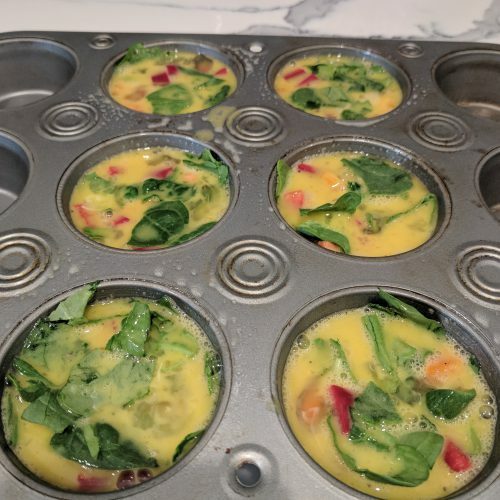 These quick and easy egg muffins are the perfect solution for those busy weekday mornings when you are pressed for time! Just grab and go! 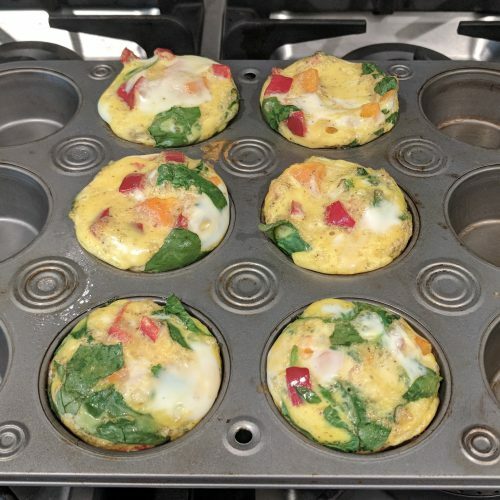 These veggie egg muffins are low fat, low cal, and high protein. Each muffin has 75 calories, 5g fat, 6g of protein and only 1 carb! If you are watching your cholesterol and/or your fat intake then use egg whites. You can make this recipe with all egg whites OR use half whole eggs and half egg whites. Voila! You have cut the fat and cholesterol instantly! 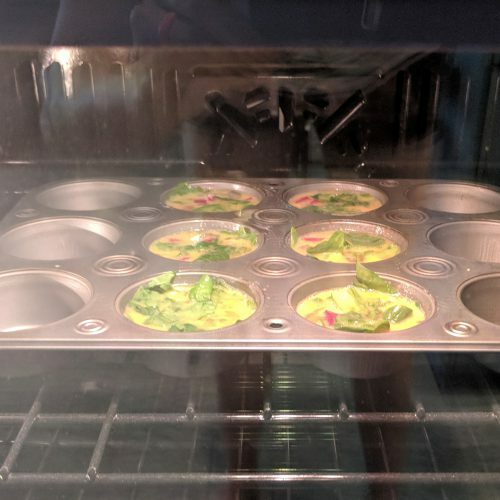 On the flip side, if you are counting your macros and need more fat, you can grease the muffin tin with grass fed butter instead of cooking spray. I prefer the cooking spray because they are less “greasy” that way, however the grass fed butter will give you a nice serving of healthy fat. My recipe below is vegetarian and gluten-free but this recipe is totally customizable. 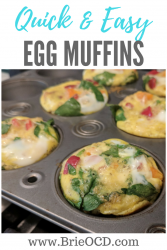 These egg muffins are so easy to make and you can literally add whatever veggies, meat or cheese that you prefer! The options are endless! 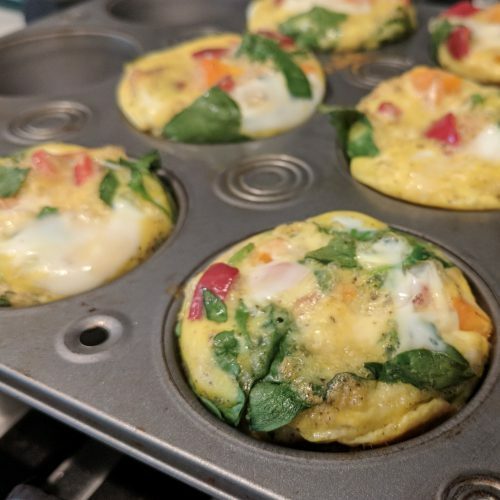 So next time you say that you don’t have time, Take 20 minutes on a Sunday to make these egg muffins and I promise you won’t go hungry all morning at work! a low fat, low carb, protein packed and healthy breakfast! 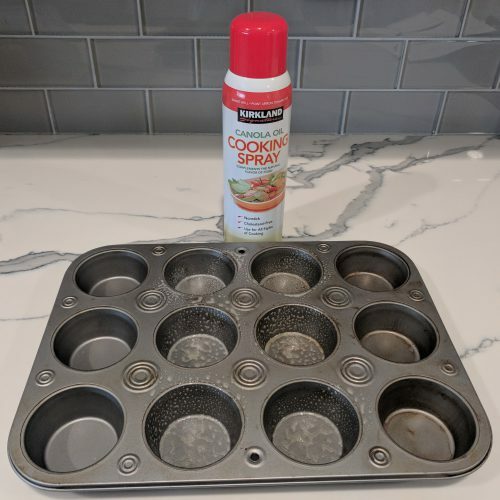 lightly grease muffin tin with cooking spray (or grass fed butter). 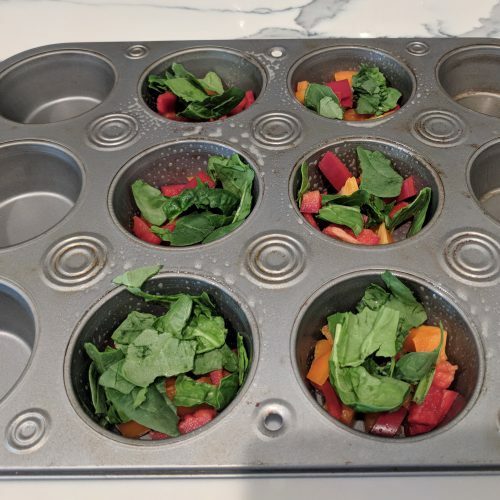 add diced bell peppers and chopped spinach to bottom of each muffin tin. 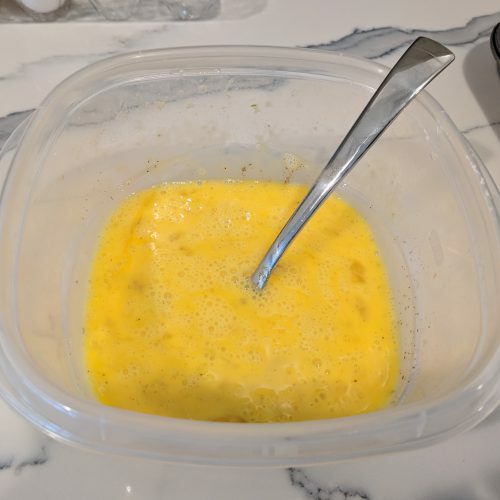 in a small mixing bowl, lightly scramble 12 eggs with salt and pepper. bake for 15-20 minutes until egg is set. let cool and bag them up to take on the go! These are a great breakfast on the go. I make them on Sunday and can eat them all week on my way to work. Thanks for the great tip Brie.